According to their estimates, there are approximately 793 million kilograms of natural mercury that have been trapped in the Arctic permafrost since the last Ice Age. Researchers just discovered a hidden threat in the northern hemisphere’s permafrost regions: massive reserves of toxic mercury. The toxic mercury reserves were found by researchers from the U.S. Geological Survey who studied core samples from the Alaskan permafrost. According to their estimates, there are approximately 793 million kilograms of natural mercury that have been trapped in the Arctic permafrost since the last Ice Age. 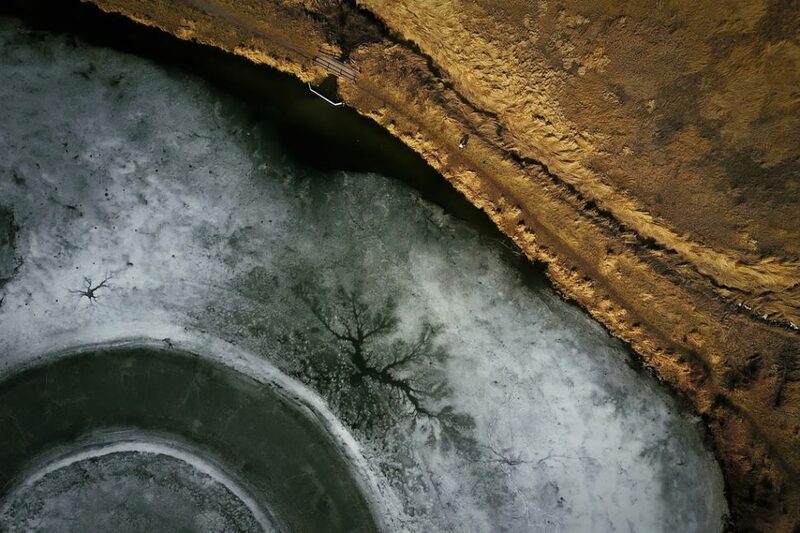 This disturbing discovery now only adds to the threat posed by the permafrost if it thaws. Until recently, experts only believed that the thawing of the Arctic’s icy landscape would release dangerous amounts of greenhouse gases. 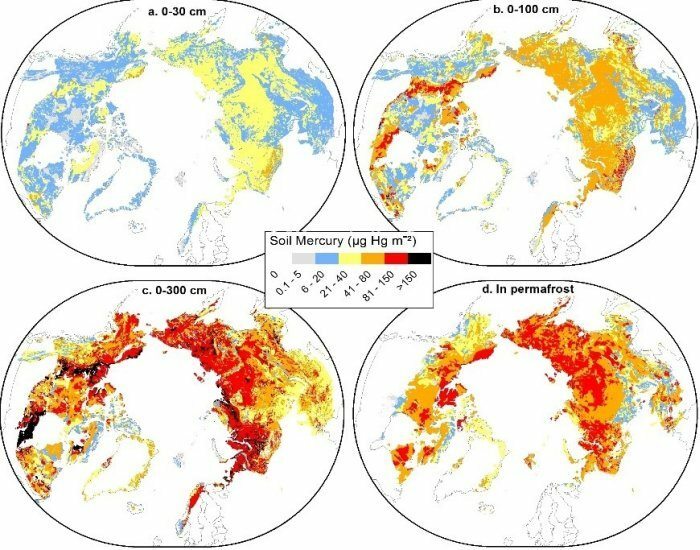 However, the potential severity of this problem has increased significantly due to the risk of massive amounts of mercury also being released into the environment following the potential thawing of this permafrost. Apparently, the permafrost, or the frozen soil covering the vast terrains of the northern hemisphere, confines both carbon and toxic mercury substances in the ground. Should the permafrost melt, experts warned it could worsen global warming and cause unimaginable harm to all living organisms. Map showing the toxic mercury concentration in micrograms per square metre for four soild depths | Schuster et al. For Schuster and his team to measure the level of toxic mercury, they took cores from across the Alaskan permafrost. They then extrapolated the measured mercury levels to calculate how much of the toxic substance is hidden in the permafrost across the globe. Part of the frozen landscape is said to cover vast portions of Canada, Russia, and other areas of the Northern Hemisphere. If the permafrost thaws, the toxic mercury could spill into different water systems and could have serious implications. For instance, if the natural mercury is exposed to microbes, it could turn into a potent neurotoxin called methylmercury. In the past, cases of methylmercury poisoning have already been reported in humans after consuming fish taken from methylmercury-contaminated waters. Steve Sebestyen, a researcher at the USDA Forest Service in Grand Rapids, Minnessota who was not involved in the study, believes that there’s a “significant social and human health aspect” to the study. “The consequences of this mercury being released into the environment are potentially huge because mercury has health effects on organisms and can travel up the food chain, adversely affecting native and other communities,” he said. If that’s not alarming enough, toxic mercury could also get into the atmosphere and travel around the world, affecting not just the northern hemisphere, but the whole planet. “What happens if the permafrost thaws? How far will the mercury travel up the food chain? These are big-picture questions that we need to answer,” Schuster went on to say. What can you say about the discovery of toxic mercury reserves in the Arctic permafrost? How Much Water Should we Bring to Mars?